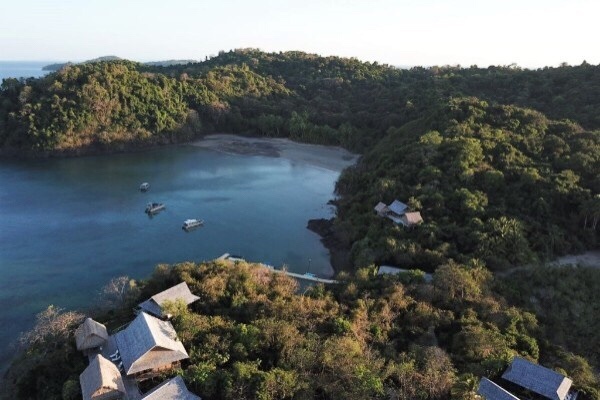 Set to open in January 2019, Islas Secas Reserve & Lodge is an exclusive retreat raising the bar in luxury and sustainability tourism in Panama. Situated 20 miles off the coast, Islas Secas is an archipelago made up of 14 private islands, accessible by a 90-minute private charter flight from Panama City or a 45-minute boat ride from David. 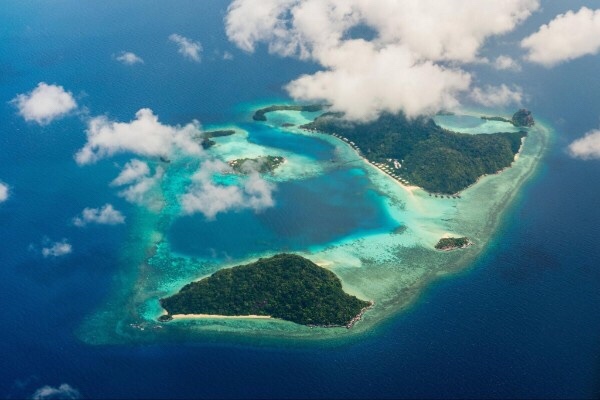 Guests are greeted by a guide and escorted to a private, direct, 90-minute charter flight to Islas Secas. Hosting up to 18 guests at one time, visitors have access to their own boat and captain to be able to explore the different islands at leisure. When not relaxing at their luxurious casitas, each with their own plunge pool with view, or indulging in fresh local seafood at the dramatic Terraza, guests are invited on a marine safari to explore the surrounding islands with activities including fishing, diving or snorkeling. Surrounded by turquoise blue waters and enveloped by lush tropical greenery, Bawah Reserve is hailed as South East Asia’s newest and most exciting opening and lies in sheltered seclusion 160 nautical miles northeast of Singapore in Indonesia’s remote Anambas Archipelago. The pristine paradise is the only retreat in Asia to include all spa treatments, guest experiences and transport via its new amphibious seaplane. 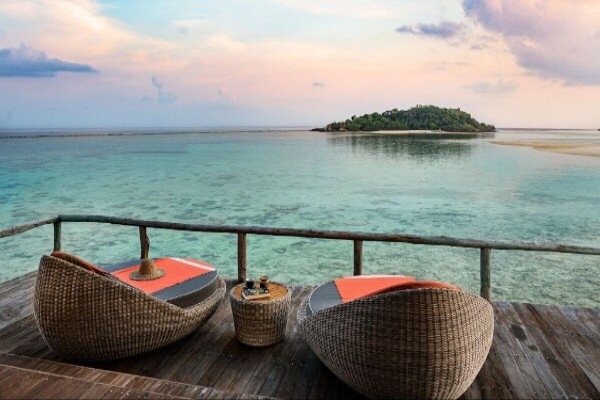 After a quick ferry ride from Singapore to Batam, guests load up on Bawah Reserve’s own seaplane for a 75-minute journey to the six-island private archipelago, home to the boutique property as well as 13 pristine beaches and three crystal clear lagoons. 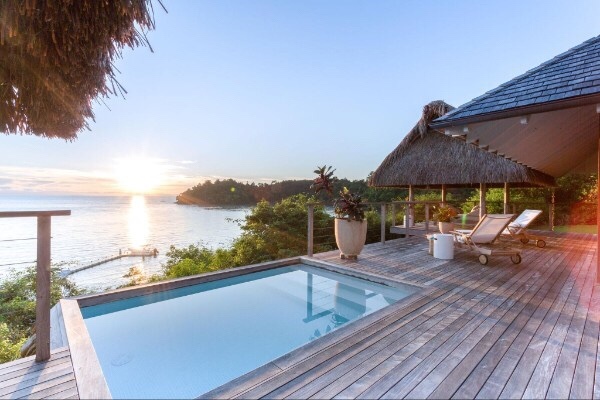 Allowing 70 guests maximum at a time, travelers have the luxury of exploring the marine conservation area, taking on an island trek or simply relaxing in an overwater bungalow or their beach suite in true style. 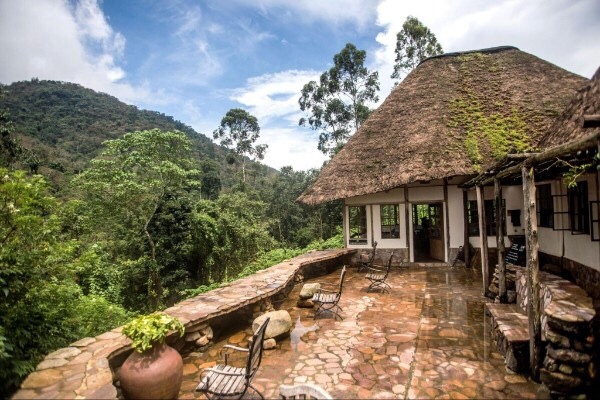 Just a 40 minute flight from the bustling city of Kigali, Volcanoes Safaris’ newly refurbished Bwindi Lodge is a true hidden gem tucked into the Bwindi Impenetrable Forest. 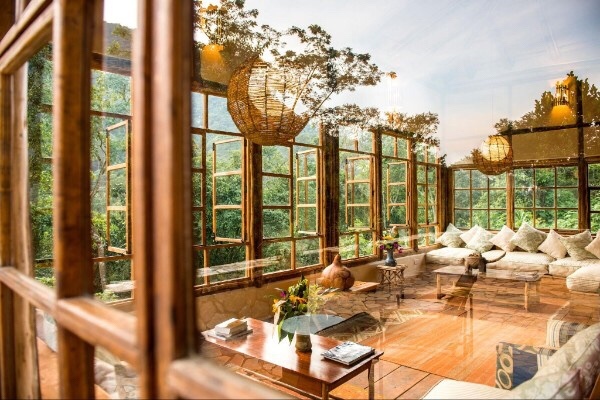 All eight guest accommodations, also known as ‘bandas’, plus the main lodge and dining area, have been beautifully renovated and the brand new addition of the Forest Spa, Humula mw’ Ishamba (from the Rukiga language, which means “relax in the forest”) invites guests to enjoy locally inspired treatments on a complimentary basis. What really makes this adventure to the jungle worth it is the once-in-a-lifetime opportunity to come face to face with Uganda’s critically endangered mountain gorilla. 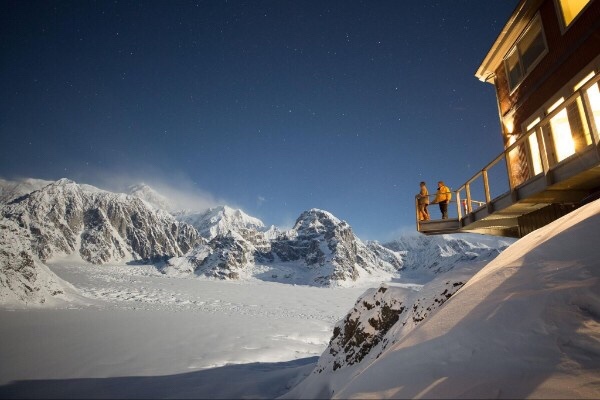 Getting to this luxurious 10-person chalet in the heart of Alaska’s Denali National Park, is half the fun. The scenic helicopter journey from Talkeetna soars over miles of pristine, protected lands before arriving at Sheldon Chalet, the only hotel within the park. Upon arrival, travelers are greeted with an extravagant buffet complete with the freshest Alaskan seafood and champagne. 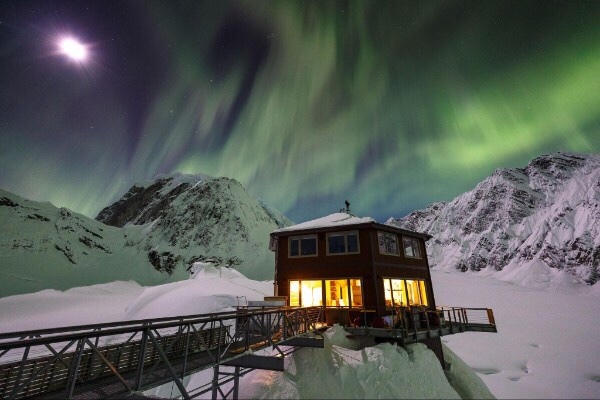 After settling in, guests can take part in a host of adventures from glacier trekking to igloo building in the Alaskan wilderness, or simply stay inside in front of the fire and watch the greatest show on earth – the Aurora Borealis. Take it one step further upon your arrival into Belize City and dive deep into the Belizean jungle. 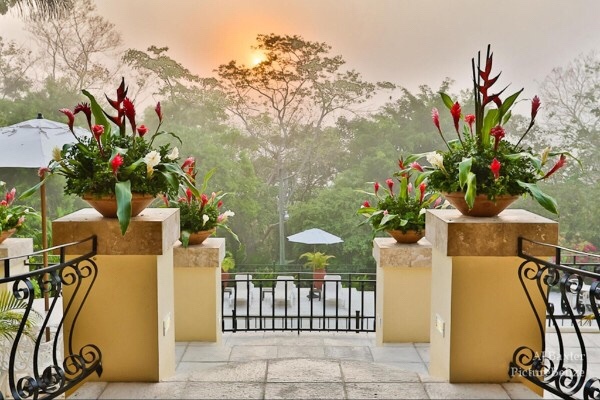 The luxurious San Ignacio Resort Hotel is the only centrally located property in town and is ideally situated for adventure tours to nearby archaeological parks, caves and nature reserves. 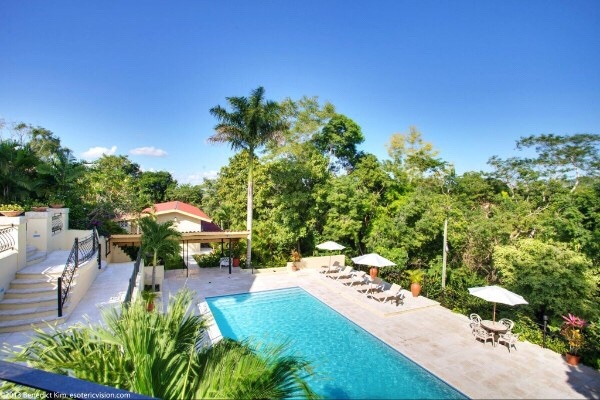 The property boasts views of rainforest and wildlife from each of its 26 rooms and is only a two-hour drive to the famous Tikal Ruins in Guatemala. Puddle jumping from: One park to another! Traveling between the “Big 3 National Parks” – Yellowstone, Grand Canyon and Yosemite — can be a daunting experience. To maximize your time and to allow for day stops at other “Hidden Gem” parks on connection days, consider the “Big 3 National Parks Flying Safari” with Revealed America, the only company with the expertise, connections and relationships to design fully customized active vacations in the National Parks and National Monuments. 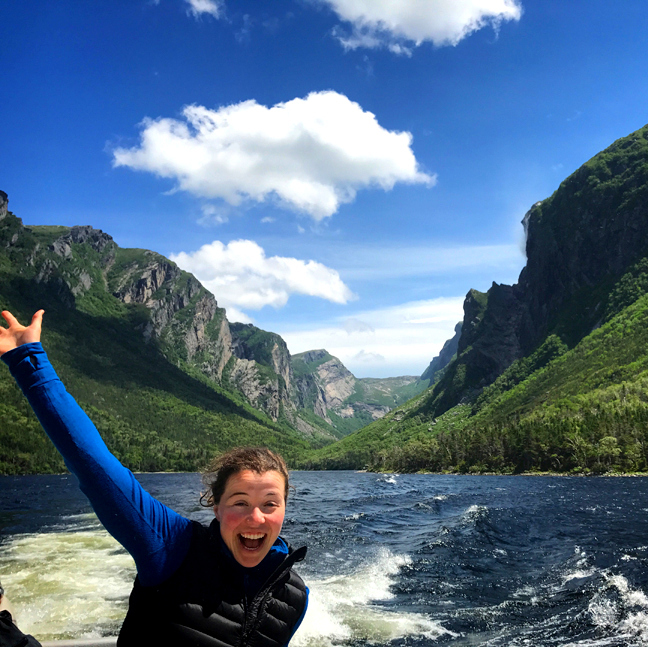 This is the ultimate way for a private jet owner or club member to tour all 3 parks in a week, without long drives or multiple air connections. 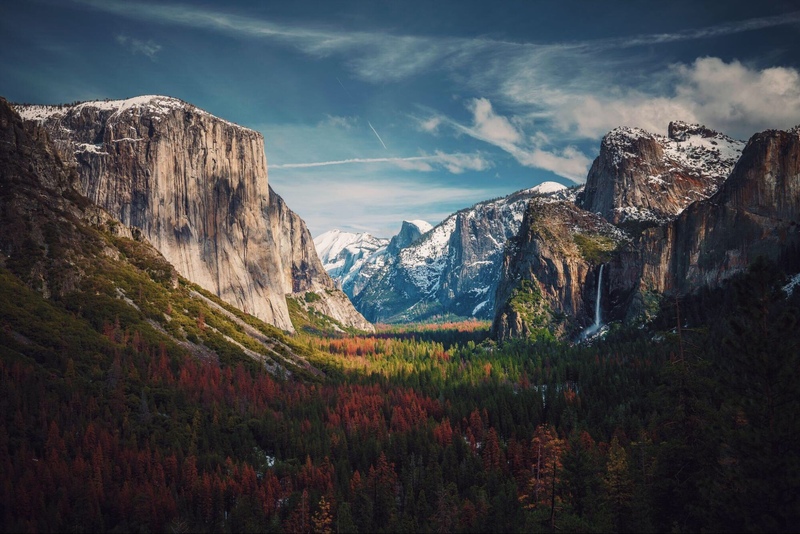 Fly into Fresno to start at Yosemite in the Sierra Nevada Mountains, where you can enjoy two days of touring and hiking with your private driver-guide amidst the waterfalls and rock formations of the park. Then fly your private jet directly to the Grand Canyon Airport for two days of hiking and biking in the off-the beaten path areas of the Grand Canyon. From there fly to Moab, Utah for a day of exploring Arches National Park’s backcountry roads and arches not open to the public with your private guide. 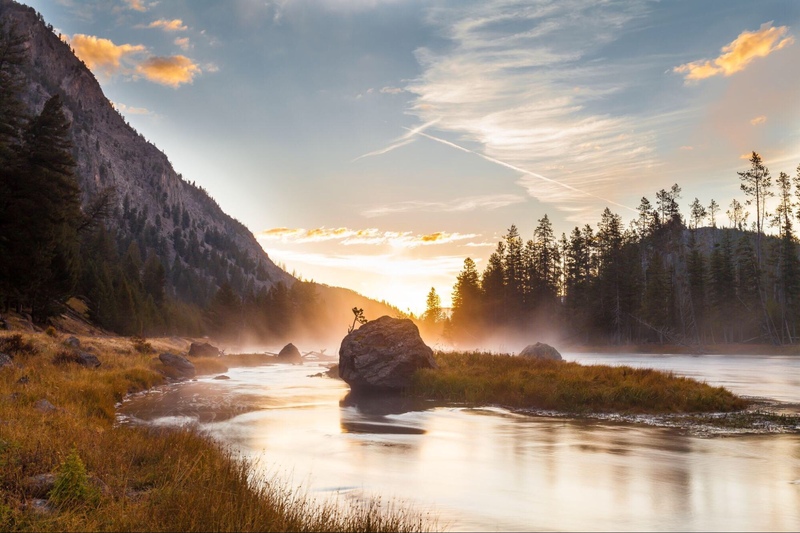 Continue on to Bozeman, Montana for two days of activity including wildlife viewing, touring the geysers and other geothermal features, hiking, biking, fly-fishing and more. 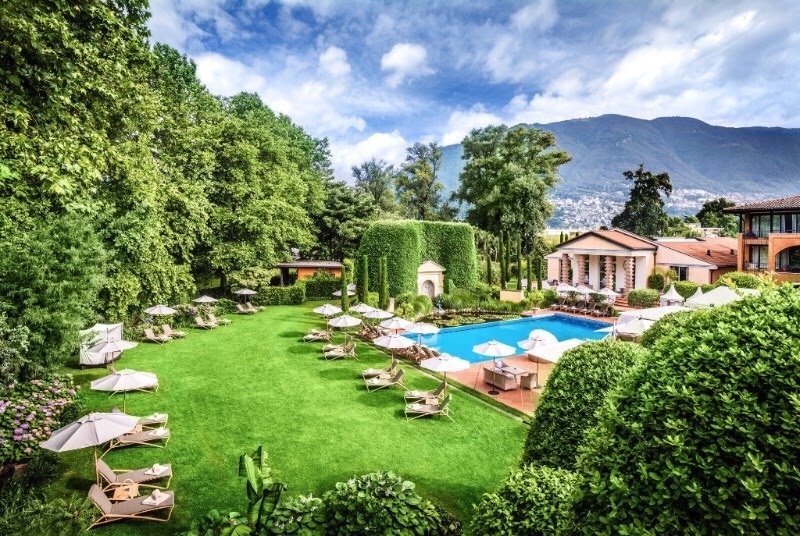 With four properties in some of Switzerland’s finest locations, it can be hard to choose where to kick-off your vacation. 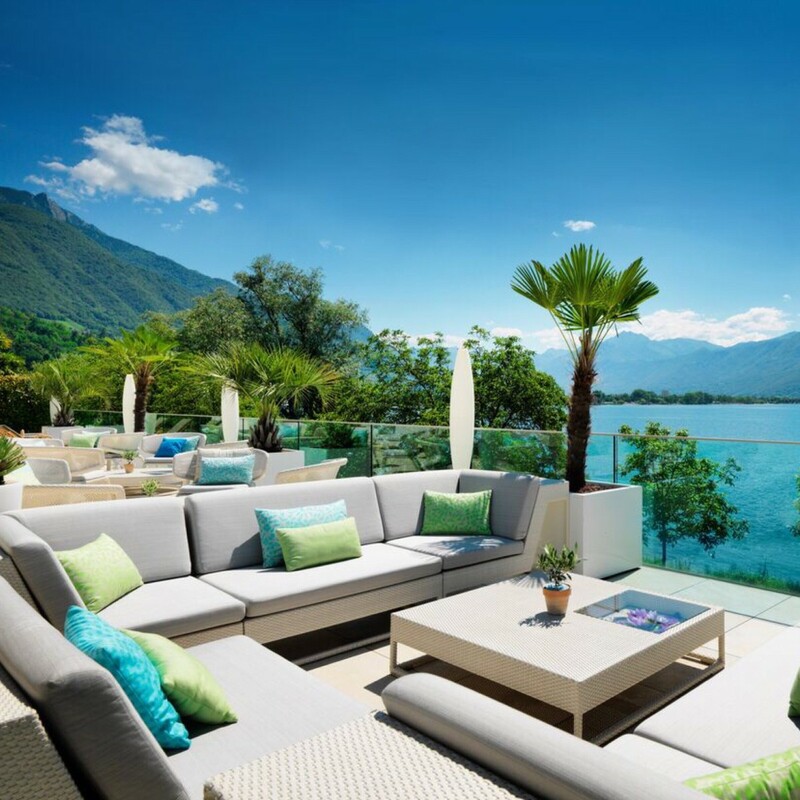 Enjoy it all, from the views over Lake Maggiore, the city life of Zurich and then to the mountains near St. Moritz’ for an alpine adventure. Guests can combine all on one visit with the convenient air taxi, Mountainflyers. The exclusive helicopter partner of Giardino Group, allows guests to soar high above the Alps and arrive on property quickly and conveniently. Upon arrival, travelers are invited to enjoy the finer things in life, such as Michelin-starred dining and Ayurvedic spa treatments. This entry was posted in Travel + Food and tagged 360 Magazine, Alaska, beach, Belize, Bungalow, camp, camping, Claire Swartzlander, cold, Extra, flight, hotel, Indonesia, luxurious, luxury, ocean, Panama, relax, resort, Resorts, sand, Seven, snow, Switzerland, The, travel, Uganda, vacation, Vaughn Lowery, warm, water, Weather, Worth on July 16, 2018 by wp360mag. 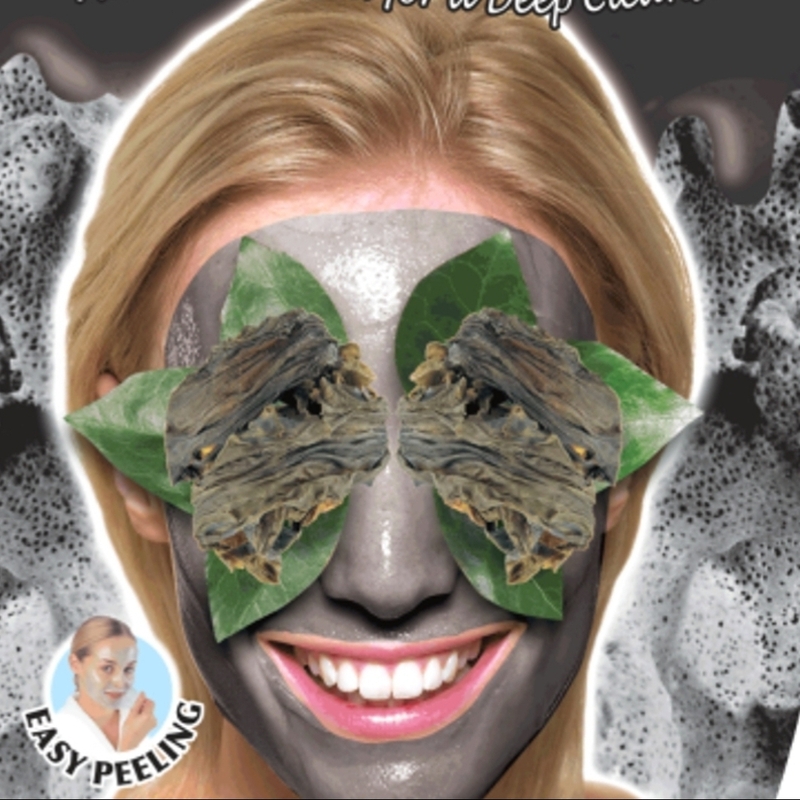 From the Welsh seaside comes a deep detox for beautiful skin – 7th Heaven’s new Black Seaweed Peel Off Mask. This luxurious, mineral-infused skin treatment lifts away soil and grease to leave skin clear, healthy and glowing. The marine mask harnesses the skin-caring qualities of chopped black laver seaweed harvested on the coastline of Wales together with crushed sea buckthorn berries and sea salt. 7th Heaven is a line of face masks that are effective, inexpensive and loaded with natural ingredients. Known for “wow” fragrances and innovative ingredients, 7th Heaven is a division of Montagne Jeunesse LTD., a UK-based company that has been in business for 30 years, making natural beauty products with a minimum impact on all forms of life. The brand is sold in mass market and grocery outlets throughout the US including Walmart and Ulta Beauty. Products sell for under $3. 7th Heaven is a cruelty free company and member of BUAV/Leaping Bunny and PETA. This entry was posted in Uncategorized and tagged 360 Magazine, 7th Heaven, America, Atrin Yazdani-Biuki, beautiful skin, beauty, Bed Bath & Beyond, berries, black laver seaweed, Black Seaweed Peel Off Mask, blemishes, brand, BUAV/Leaping Bunny, Business, but skin, Chloe Licht, coastline of Wales, company, cruelty-free, crushed sea buckthorn berries, detox, England, face masks, formula, fragrances, fresh, glowing, grocery outlets, Harmon Discount, healthy, impurities, inexpensive, ingredients, innovative ingredients, London, luxurious, Makeup, Marine, marine fragrance, mask, mass market, Megan Bennett, moisturizers, Montagne Jeunesse LTD., natural, natural beauty products, natural ingredients, new, peta, pop culture, product, relax, relaxing, sea buckthorn berries, sea salt, serums, skin care products, UK, UK-based company, Ulta, Ulta Beauty, ultra-deep cleansing, us, USA, Vaughn Lowery, Wales, Walmart, Welsh, wrinkles on June 11, 2018 by wp360mag. Thanksgiving can be a hassle, but it doesn’t have to be! 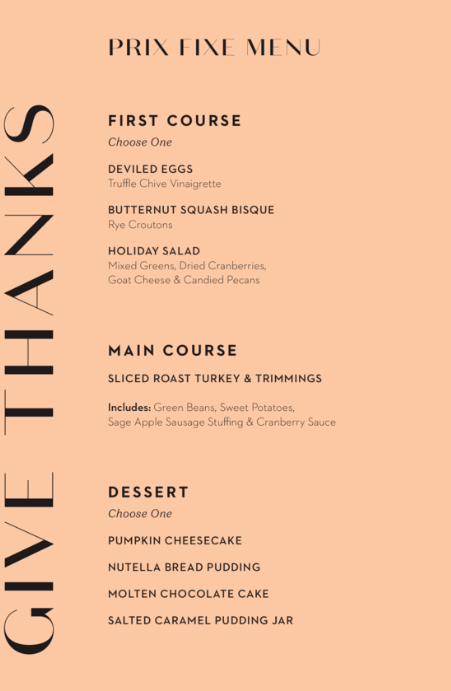 Del Frisco’s Grille in Santa Monica is giving you and your family one more thing to be thankful for this holiday season. Every year people spend all day in the kitchen cooking and hardly get to enjoy the feast. 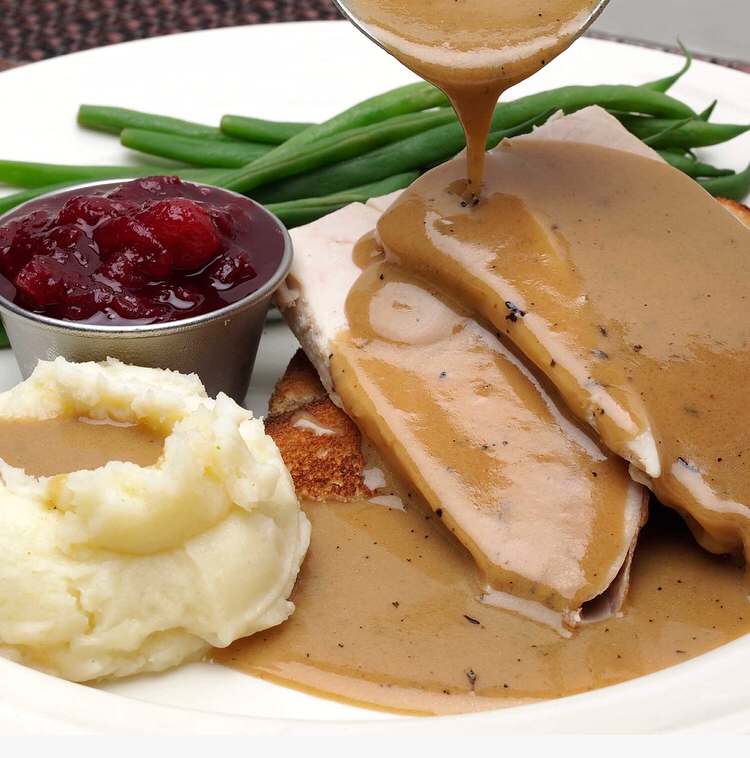 Del Frisco’s is offering to serve your family a delicious, traditional Thanksgiving dinner so that you can actually relax and enjoy your meal. 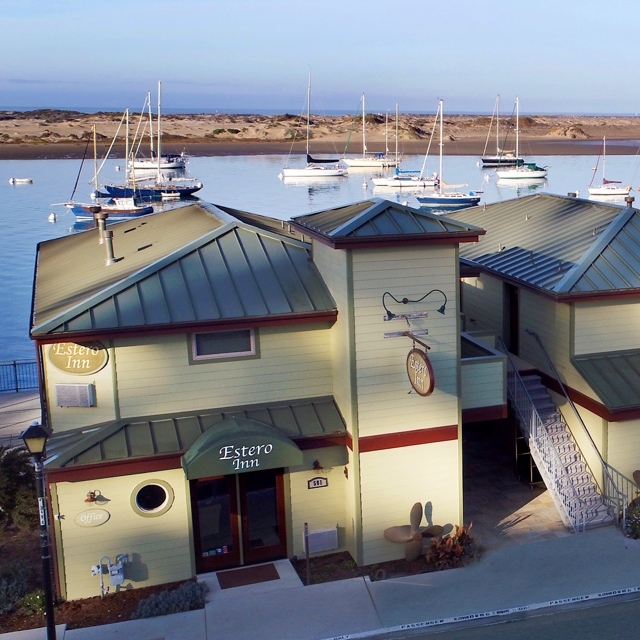 The three-course meal includes signature fall themed plates such as Butternut Squash Bisque, Sliced Roast Turkey, and Pumpkin Cheesecake for jusy $42 a person. Plus, Del Frisco’s Grille overlooks the Santa Monica Pier so you can enjoy the blissful scenery while chowing down and giving thanks. Del Frisco’s Grille will be one of the only restaurants open for Thanksgiving dinner so, while not required, reservations are STRONGLY recommended. Located at 1551 Ocean Avenue, on the corner of Ocean Avenue and Colorado Boulevard, Del Frisco’s Grille is open Monday-Saturday from 11 a.m. to 11 p.m. and Sunday from 11 a.m. to 10 p.m., with bruncheon Saturday and Sunday. For more information, visit www.delfriscosgrille.com/santa-monica. This entry was posted in Uncategorized and tagged 360 Magazine, California, Del Frisco's, Del Frisco's Grille, feast, holiday, Kelsey Welsh, mouth watering, Oceanside, relax, restaurant, Santa Monica, Santa Monica Pier, thanksgiving, thanksgiving dinner, unwind on November 3, 2017 by kwelsh1102. Schlitterbahn New Braunfels Waterpark is the #1 Waterpark in the World for the last 19 Years. 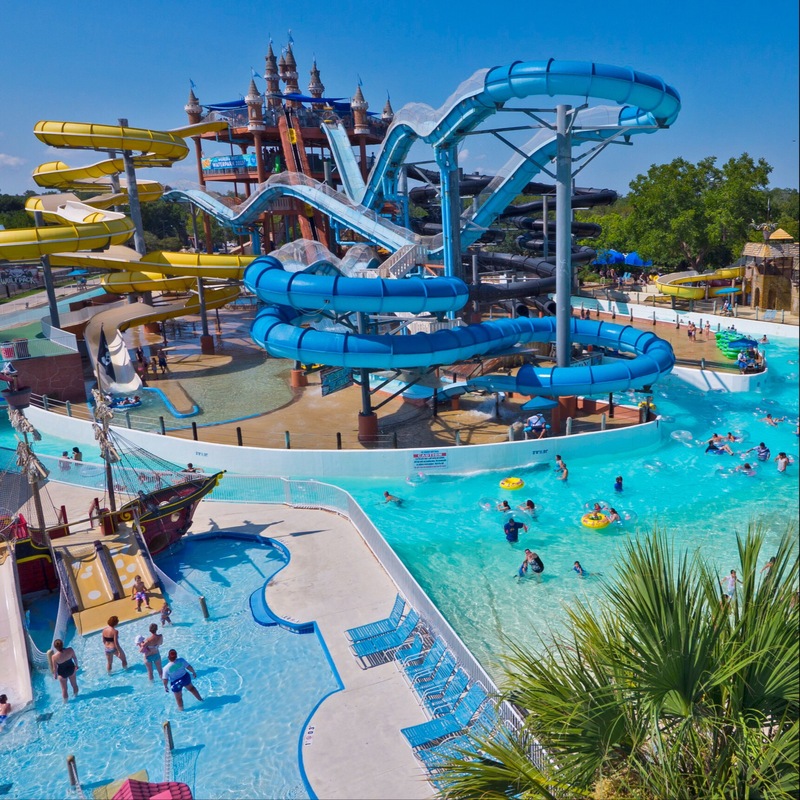 Located on the banks of the spring fed Comal River in New Braunfels, Texas, Schlitterbahn’s flagship waterpark has 51 attractions on over 70 acres. 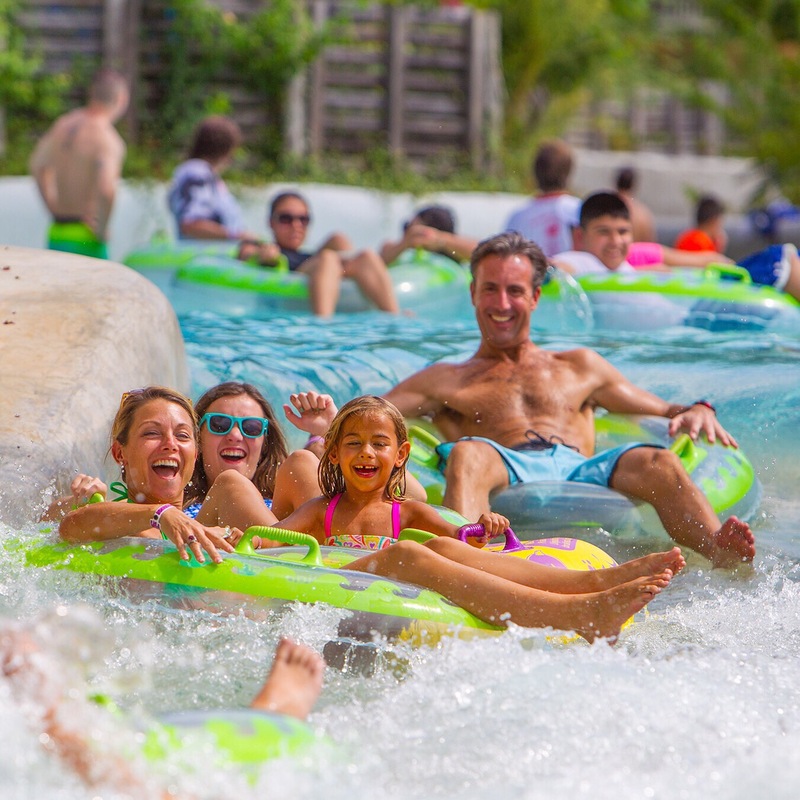 Family-owned and operated, Schlitterbahn provides a staggering variety and miles of river rides, waterslides, and adventures from mild to wild. The Resort at Schlitterbahn New Braunfels is open year-round. Guests can enjoy the family excitement and convenience of a resort and waterpark during the summer and the beauty of a Hill Country Getaway year-round. With hotel rooms, one and two bedroom suites, Riverbend Cabins, Treehaus Luxury Suites, and vacation homes, The Resort at Schlitterbahn has a wide range of accommodations for any type of vacation. The Original Schlitterbahn: Home to the signature Schlitterbahn Castle, this section of the park uses springfed water from the Comal River. Nestled beneath a beautiful canopy of trees, this section of the park has eight tube chutes, seven kids’ play areas, a wave pool, and swim up bars with heated pools. On the wild side: the Down Hill Racer and the Soda Straws. On the mild side: the Raging River and the Congo River Expedition. Surfenburg: Named for the world’s first surfing wave invented 26 years ago, the Boogie Bahn, Surfenburg is also home to the first uphill water coaster, The Dragon’s Revenge – invented 22 years ago. Also in Surfenburg: the Kristal River which circles Squirt’n Sliden, a giant kids’ play area. Blastenhoff turns 21! : The most award-winning attraction in Schlitterbahn history, the Master Blaster, turns 21 in 2017. Using patented water injection technology, the Master Blaster starts at the top of a six story tower in Blastenhoff. (Two other rides also take off from the same tower.) Surrounding the “Blast Tower” is the Torrent Wave River – also invented 21 years ago – which combines an endless river with a wave pool for unlimited fun. 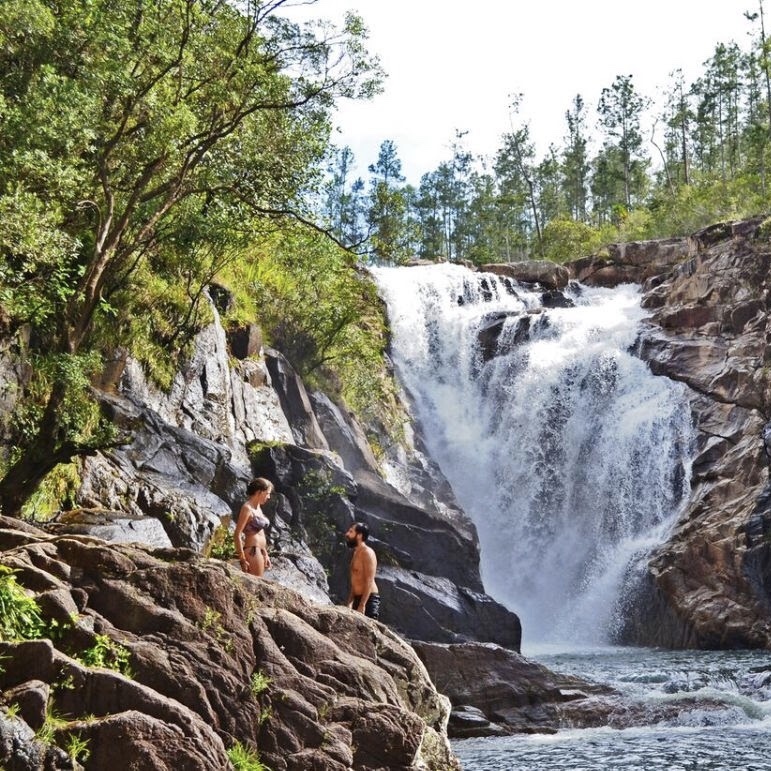 Tubenbach: Tubenbach features The Falls, the world’s longest tubing adventure. The Tubenbach area features several no-wait attractions and beaches allowing park guests to enjoy the rides without standing in line. Also, several of the Tubenbach attractions are interconnected through an innovative Transportainment® river, which allows guests to float their way throughout the Tubenbach area. 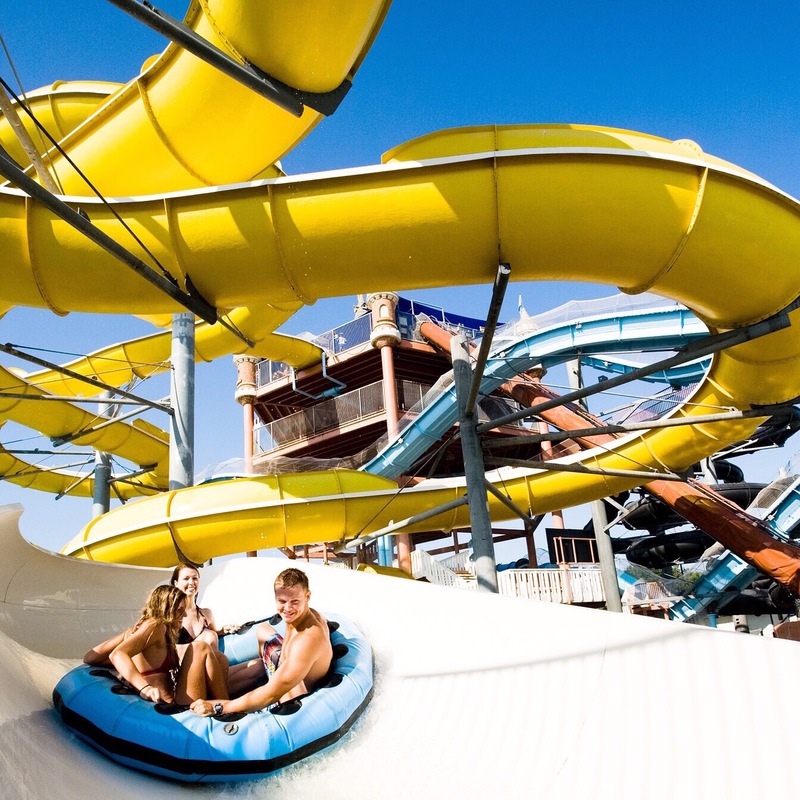 Overall, Schlitterbahn New Braunfels has four times the rides and attractions of any waterpark within 200 miles, and twice the number of attractions of any waterpark within 500 miles. Our naturally landscaped park with hundred-year-old oak, cedar, and cypress trees creates a completely different experience from the typical “hard-scaped” waterparks. We call those old school parks “cement, stairs, and slides” versus Schlitterbahn’s rivers, trees, and rides. Schlitterbahn’s commitment to the environment is long standing. From the way the original park was designed to flow among trees, to the commitment to water conservation (98% of the water is recycled through filtration), to maintaining recycling containers throughout the parks, Schlitterbahn believes in sustainability. The development team, which builds our new parks and attractions at Schlitterbahn, constantly looks for ways to reduce, reuse, and recycle. Schlitterbahn has expanded the number of available cabanas to include everything from BBQ palapas to super-sized cabanas suitable for ten people to share. Luxury cabanas with mini-fridges and TVs were successfully launched summer of 2015. Lodging Year Round: Schlitterbahn has a wide variety of resort accommodations open year-round. Admission to the waterpark for resort guests is included as a Splash, Sleep, Repeat Package while the waterpark is in operation. Free Parking and Picnics: At Schlitterbahn parking is free for everyone. Schlitterbahn guests can bring a picnic from home (no glass or alcohol please). There is no charge for tubes, life vests or boogie boards. The unique character of the park has led amusement park fans to vote Schlitterbahn New Braunfels the “World’s Best Waterpark” nineteen years in a row. The park’s six-story Master Blaster® Uphill Water Coaster has been voted the “World’s Best Waterpark Ride” repeatedly. The park also won the “World’s Best New Waterpark Ride” Award for four years for; the Dragon’s Revenge Water Coaster (2008), the Congo River Expedition, a heavily themed jungle ride (2009), and most recently The Falls, the world’s longest tubing adventure (2011). This entry was posted in Design and tagged 360 Magazine, adventures, amusement park, anniversary, Billye Henry, Bob Henry, Braunfels, cabanas, cabins, design, Diana Macaraeg, Disney, excitement, exciting, family, family friendly, family fun, fun, German, guests, happy, nature, New Braunfels, oak, outdoor, park, play area, premium, recycle, reduce, relax, relaxation, resort, reuse, ride, river, Schlitterbahn, Spring Break, Texas, theme park, tradition, travel, tubes, tubing, vacation, Vaughn Lowery, water, water ride, waterpark, World's Best Waterpark, year-round on August 14, 2017 by wp360mag.